Arch City Media: "St. Louis Lions WPSL Nets Shutout In Inaugural Game"
(COTTLEVILLE, MO) The play was perfect in the inaugural contest for St. Louis Lions WPSL Sunday afternoon at Tony Glavin Soccer Complex. Unfortunately, Mother Nature didn’t fully cooperate. 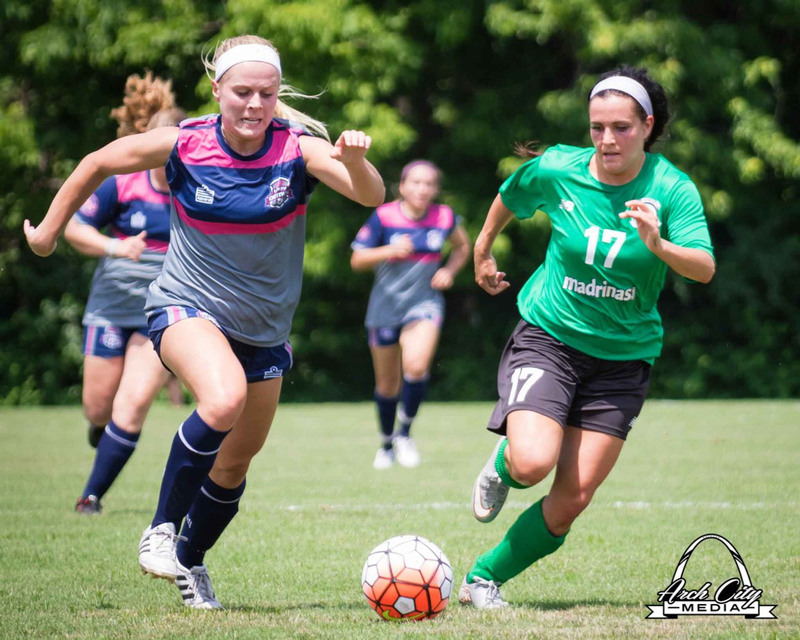 Hampered by extreme weather conditions, the locals cruised to a 4-0 exhibition victory over Springfield (MO) Demizein Women’s Premiere Soccer League (WPSL) action. The match, which marked the return of women’s professional outdoor soccer since 2010, was highlighted by a pair of goals claimed within the first four minutes and a stubborn defense that didn’t allow a shot on net until deep in the opening frame. Two minutes into the contest, Lions’ attacking midfielder Christina Rodriguez scored the club’s first-ever goal with her right-footer from six feet out.